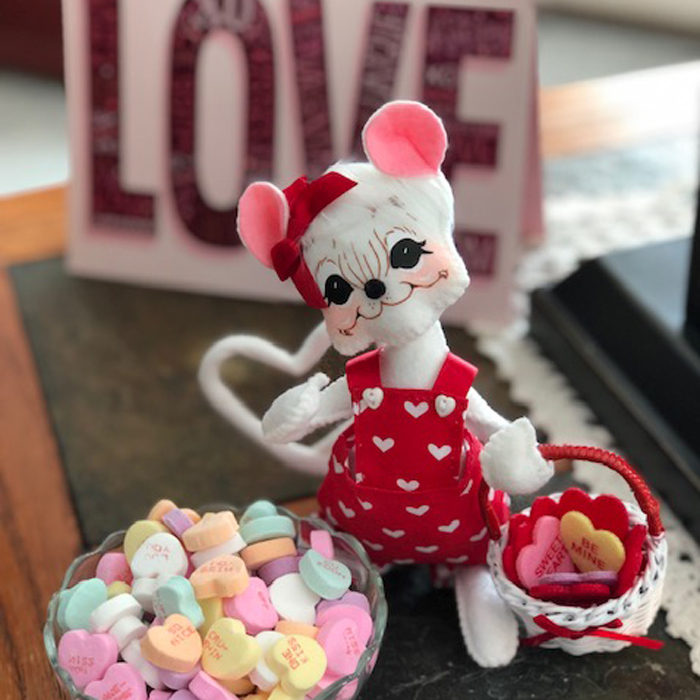 This 6 inch white mouse is wearing bib styled overalls done in a red fabric with white hearts printed on it. It is trimmed with a red and white striped fabric and the red ribbon straps have white hearts accenting the bib. This cutie is holding a white basket filled with assorted candy hearts with various expressions on them. The basket is accented with a red handle and ribbon. She has a red bow in her hair and her tail is in the shape of a heart! Sweet item to decorate with or give to a loved one!